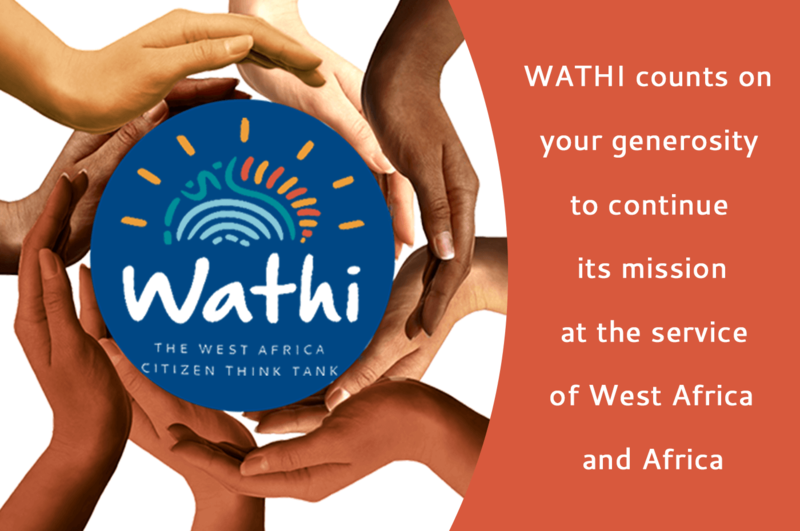 Through reflection and citizen action, WATHI contributes to the transformation of political, economic and social systems and the redefining of collective values in West Africa and beyond. WATHI counts on your generosity to sustain this unique space for sharing knowledge, ideas, values and passions dedicated to general interest. You can also donate to WATHI by using a provider of international money transfer services (Western Union, MoneyGram, RIA, WARI, etc.). If you choose this option, please contact us first at donate@wathi.org. You can deposit the amount of your donation directly on WATHI’s bank account in any office of UBA Senegal. WATHI’s resource mobilization strategy does not exclude potential private and public institutional donors (foundations, international and regional organizations, private companies). But it primarily targets those citizens from Africa or from everywhere in the world who share its vision and are not ashamed to be idealist. We believe that a crowdfunding model based on financial contributions from a large group of people could be a critical addition to other possible resources. You can make it work. Financial transparency is a critical point for WATHI. Regular information on WATHI’s funding sources and the use of its resources will be available in this section.